The thin, Cohiba Corona Especiales has flavor that really pops. This is a question to which every cigar smoker will have a different answer. But before we address the issue of flavor, let’s step back and talk about cigar size and our individual preferences. Each of us has a favorite size, but this isn’t just about cigar flavor. How a cigar feels in our hand is important. Those of us with small hands may prefer a diminutive vitola like a Corona, while those with larger hands may prefer a Toro. 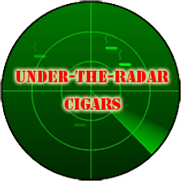 Over the years, cigar sizes have evolved, and about a decade ago, fatter cigars started to gain popularity. The fat cigar trend has continued, and these days, cigar makers are making 60+ ring gauge cigars that are so big, smoking one is like trying to get your mouth around that triple decker turkey club from your favorite deli. As cigars started getting fatter, I began to notice the contrast in flavor between the various cigar sizes. Compared to cigars of the 54+ ring size, the thinner cigars seemed to have enhanced flavor. I can’t say more flavor because fat cigars can have tons of flavor, it’s just that the Corona, Churchill, or even the ultra-thin Lancero seem to have more flavor “impact”. I could come up with a theory about why this is so, but rather than try to guess, I decided to ask an expert. Indeed, wrapper is super important to cigar flavor. It is chosen for its aromatic qualities, as well as its looks. It only stands to reason that the higher wrapper-to-filler ratio in a smaller ring-gauge cigar would dramatically change its flavor. Perhaps the enhanced aroma is what I interpret as “flavor impact”. I love all cigar shapes, both big and small, and the variety of flavors they offer. But there is something a bit special about those Lanceros or small Coronas that makes them stand out. It’s good to finally get a cogent explanation as to why. Thanks Larry, for this great insight. 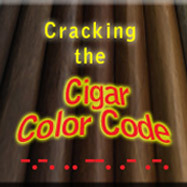 I look forward to getting more tidbits of cigar insider information for the new Cigar Confidential series. Interesting. The wrapper to binder ratio certainly seems like it would have a flavor impact. But I find the smaller diameter smokes often have a harder draw. And if the draw is too hard the flavor drops to zero. I prefer a slightly larger diameter cigar though there are plenty of exceptions. Michael, I totally agree that, sometimes, the Lancero size cigars can have a harder draw. Especially in Cuban cigars. These thin cigars are difficult to roll and only the most talented torcedores can get it right.